A typical display case at Jewellery Arabia, which this year was held in Bahrain on the 21st-26th November. The 26th edition of Jewellery Arabia was held in the International Conference Centre of Bahrain from the 21st-26th November 2017. This is the biggest jewellery show in the region, attracting over 50000 visitors from around the globe and is one of the very few that sells to the public as well as the trade. Over 500 exhibitors took part, showcasing everything from loose gems to fantastic pieces of high jewellery. 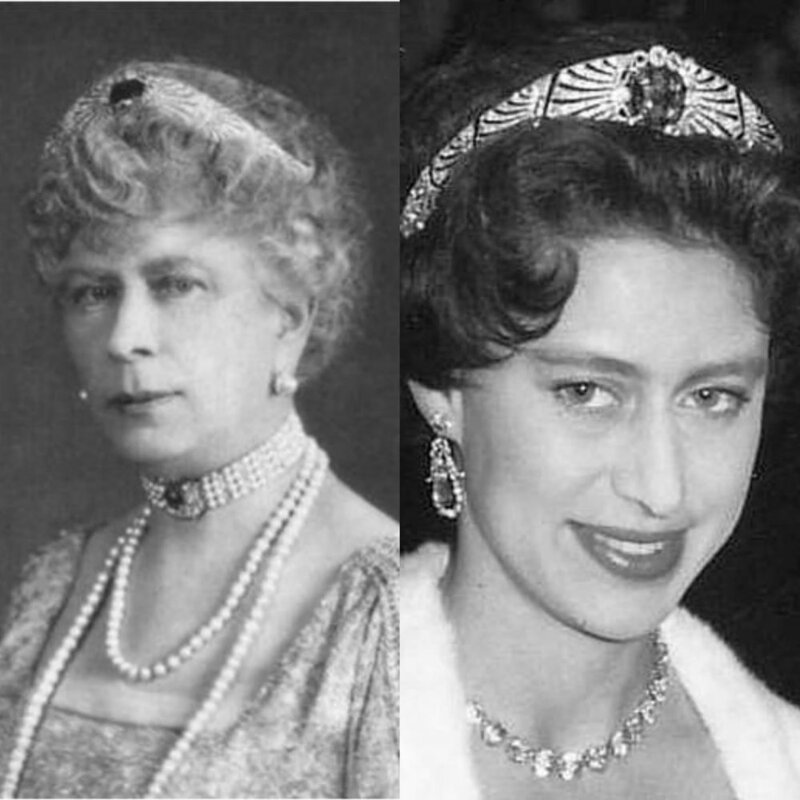 There were prices for everyone too- with diamond set jewellery starting from as little as $100 to breathtaking unique pieces valued at several million. 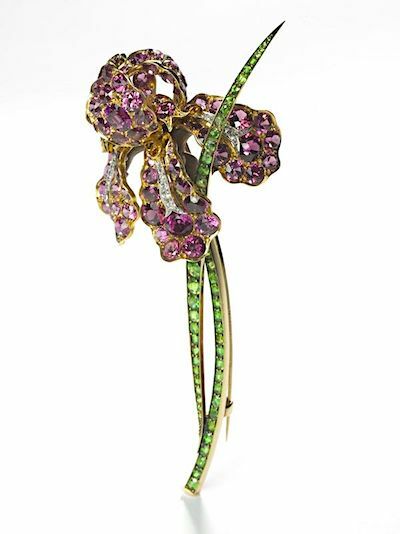 The European jewellery contingent was well represented by big names such as Boucheron, Faberge and Boghossian. The strongest representation of course was from the Middle East, with family owned Mattar Jewellers and Al Zain Jewellers nestling alongside independent Bahraini designers such as Azza Al Hujairi. It was my first time exhibiting in the Middle East at the invitation of Azza. The entire experience was a pleasure- the Barhainis simply could not have been kinder or more charming and there is a real sense of fellowship amongst the jewellery community there. This is in marked contrast to London, where designers tend to be more reserved. The economic climate was, however, challenging. There were fewer big spenders from Saudi Arabi and those that showed spent cautiously. This is no doubt a consequence of the anti corruption crackdown currently being conducted by the Saudi Crown Prince. The sanctions against Qatar meant that they could not attend and there is general economic uncertainty created by the ongoing troubles in the Yemen. None of this, however, deterred the exhibitors from putting on a magnificent display of colour and craftsmanship. There were three designers in particular that caught my eye and my mentioning them is purely subjective- I just thought they had really lovely things. 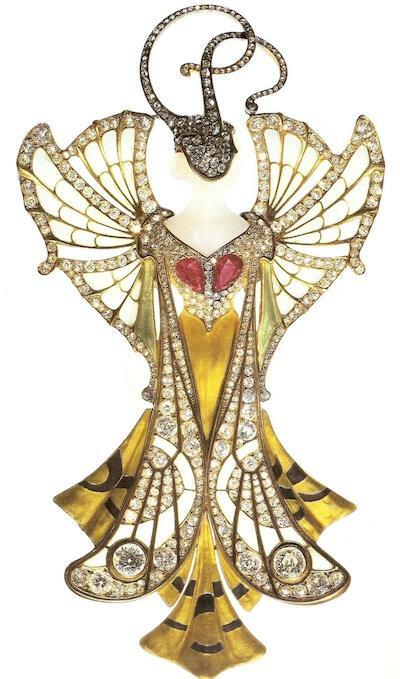 This was the Greek designer’s second showing at Jewellery Arabia. His style struck me as very much neo Art Deco: beautiful, richly coloured stones with strong colour contrasts and clean lines. Emerald, diamond and black enamel earrings by Nikps Koulis. Ruby, diamond and black enamel ring by Nikos Koulis. This brand is the brainchild of Vishal Kathari, who is descended from a long line of jewellers. I met Vishal at Baselworld earlier this year and was very much taken by the limpid, clear quality of his rose cut diamonds in their inventive light-as-a-feather settings. 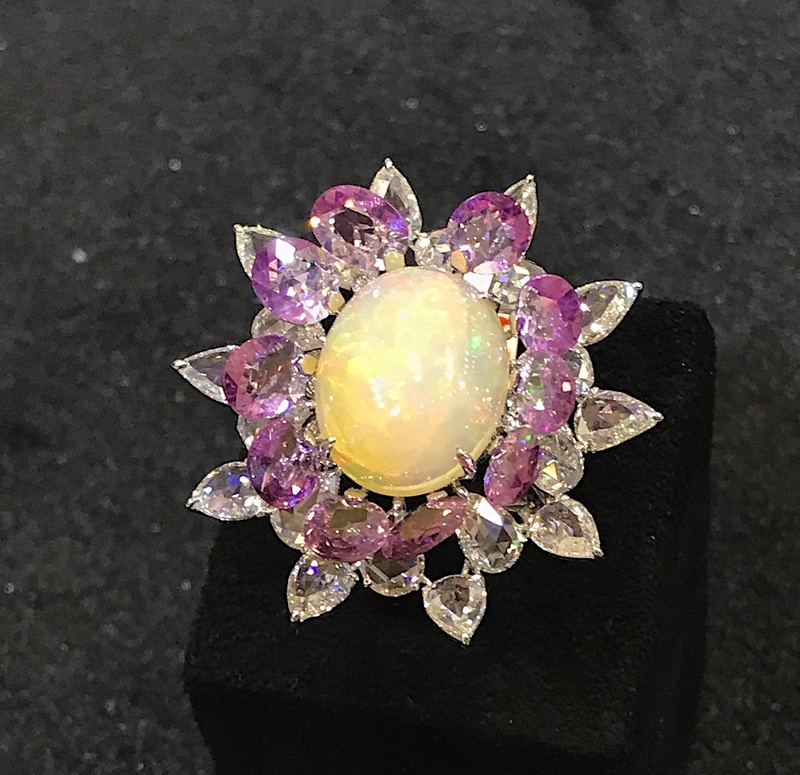 Opal, diamond and pink sapphire ring by VAK diamonds. Diamond jewellery by VAK in its signature light-as-a-feather setting. The pearl knowledge of this family is several generations old. Of the current generation, four out of the five siblings are involved in the family business. The eldest brother, Talal Mattar told me that he was encouraged to go and play with pearls in the family workshop from the age of 6- you cannot beat knowledge like this. The sumptuousness and creaminess of their pearls is astonishing and cannot be captured in photographs. 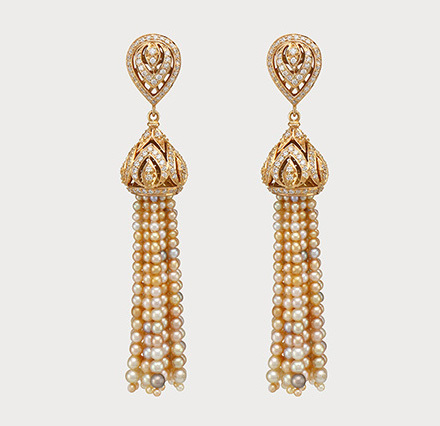 Pearl and diamond tassel earrings by Mattar Jewelers. Pearl necklace by Mattar Jewelers. The quality of their pearls is impossible to convey photographically.